With all the things to see and do in the state, Montana is an awesome place to be a kid. But it gets even better when it’s your birthday! There are so many cool, interesting and just plain fun places for a party that it may be hard to choose. So, we did it for you. Here are our favorite places for a kid’s birthday party in Montana. Kids’ birthdays in Billings are all the more awesome when they take place at Wise Wonders Children’s Museum. With science and technology-oriented exhibits, Wise Wonders works to engage children’s curiosity while making sure they have fun doing it. You can even integrate a science demonstration into your party. In the Flathead Valley, few places are as fun for a birthday party as Holt Stage Hideaway. Located on an acreage outside of Kalispell, the Hideaway is home to min-golf, bounce houses, a toddler area and several games, which makes it a popular place for parties. A snack area and concessions are available on site. A Carousel for Missoula and the adjacent Dragon Hollow play area is an awesome party spot with a wonderful backstory. A local cabinet maker, along with the help of many volunteers, built the carousel for the city during the 1990s. Now a cherished community icon, it is frequently the backdrop for kids’ birthdays. 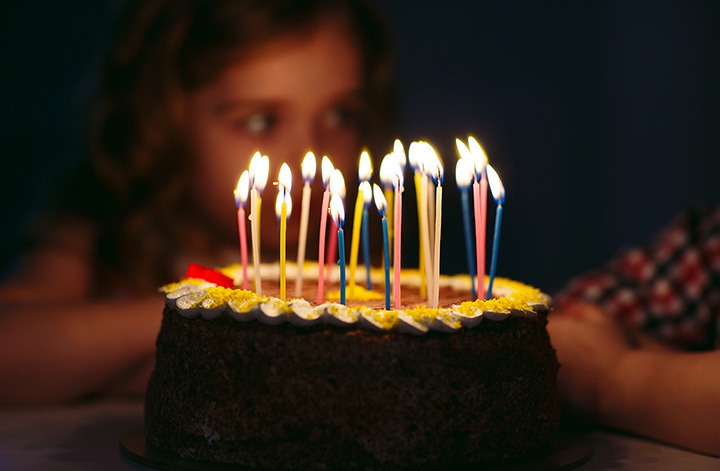 Planning a party for younger children—five and under—can be challenging. You want a place that is entertaining, yet safe and somewhat contained. The Art of Play in Billings strives to be all those things for the toddler set. Kids will have fun and parents will appreciate a party that comes with a little less stress. When the guest of honor also happens to be an adrenaline junkie, The Hub is the place to go in Missoula. The Hub boasts indoor go-carts, laser tag and an arcade all in 50,000 square-feet of fun. They also have a near-full-service on-site concession area to help make party planning easier. If your child loves animals, there’s no better place to have a birthday than ZooMontana in Billings. Party packages include invitations and zoo admission for 20 guests, plus the guest of honor and two adults. Party goers are treated to a private animal encounter in addition to all other birthday festivities. Families looking for an active party idea and Great Falls can book their birthday bash at Flippin’ Family Fun. A party at FFF includes 60 minutes of open jumping on their indoor field of trampolines and 45 minutes in a private party room. The cost of the party includes pizza, utensils and drinks for the attendees. Scientifically-curious kids will love a birthday party at the Children’s Museum of Bozeman. They have several birthday packages that allow children to take advantage of the museums exhibits, like the STEAMlab, Circuit Studio and Physics Playground. You can even add a guided MineCraft adventure to a birthday package. For water babies in Billings, few places are as ideal for a birthday party as The Reef Indoor Water Park—the largest in the state of Montana. Located at the Big Horn Resort (so you can even spend a little extra time, if you want), The Reef offers for levels of Birthday Bash packages. There is no better place for an animal or bug-crazed kid—and really, what kid isn’t at some point?—to have a birthday party than the Montana Natural History Center in Missoula. You can even add an Animal Wonders nature encounter to your birthday package.